Volvo’s in-house tuning company, Polestar, is now offering performance packages for the new S90 and V90. According to the Swedish car manufacturer, the package, which is dubbed Polestar Performance Optimisation, “upgrades the entire drivetrain and further improves driving dynamics”. Offered only on the more powerful D5 diesel versions of the new executive saloon and estate cars, the £835 upgrade increases the power output from 232bhp to 237bhp and ups maximum torque from 480Nm to a neat 500Nm. Throttle response and gearshift speed have also been improved as part of the upgrade. Despite all this, Volvo says the Polestar package has no effect on the cars’ CO2 emissions, fuel consumption, warranty or service intervals. “We continue to enhance the performance of Volvo’s new, class-leading SPA vehicle architecture and Drive-E powertrains. 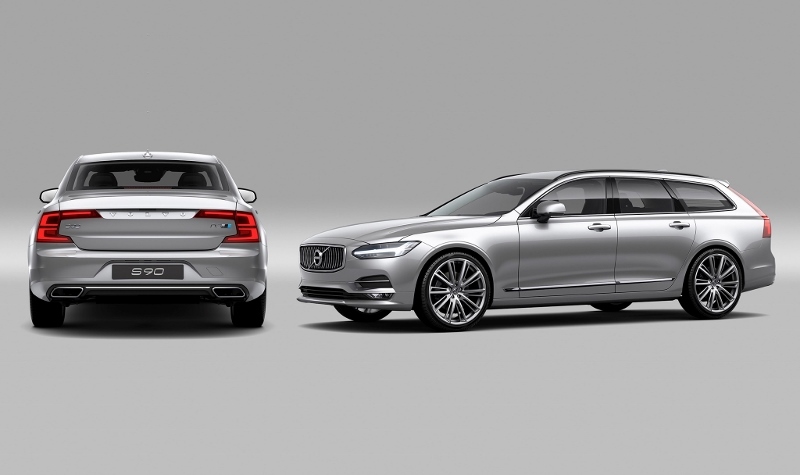 The S90 and V90 already offer excellent driving dynamics, and we are delighted to raise the performance level even further with Polestar Performance Optimisation,” said Niels Möller, COO of Polestar. Volvo’s Polestar Cyan Racing team was heavily involved in the development of the performance package, and the team’s World Touring Car Championship driver, Thed Björk, said: “It is exciting to take the technology we use in our race cars and apply that to Volvo’s road cars.